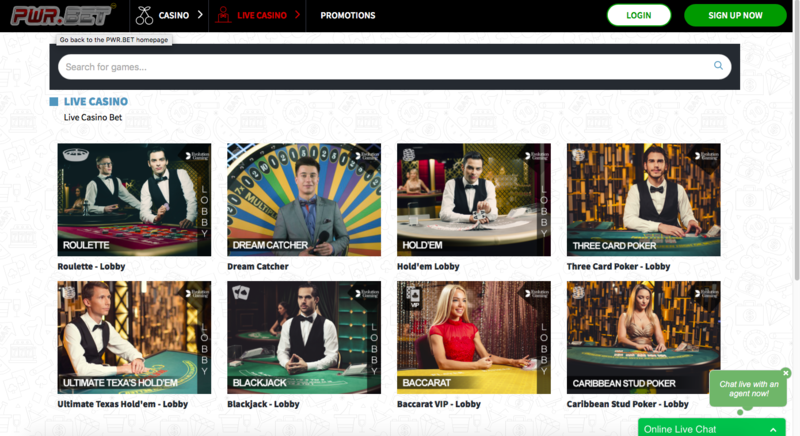 “The Fastest Growing Online Casino” is the boast that you are met with when you first arrive at the PWR Bet site. This is one of those odd claims that online casino sites make that is in no way based on any statistical analysis as far as we can tell. No award has been given, there is nothing to say this site is definitely the fastest growing online casino, there’s just nothing saying it isn’t, which is probably why they can get away with it. However, with a statement like that being made, it’s now on PWR Bet to prove it, so, is this a site that looks capable of backing up its boast? PWR Bet operates on the popular EveryMatrix platform and holds licenses from Curacao eGaming, the Malta Gaming Authority (MGA), and the United Kingdom Gambling Commission (UKGC), so when it comes to trustworthiness, you’d struggle to find a new casino with a better foundation. A good start, perhaps, but that’s all it is at this point, if PWR Bet is going to continue the rapid growth it claims to be receiving, it’s going to have to not only grab the attention of players, but also maintain it, the latter of which has never been as easy. So, is this another site that starts well and then fades into mediocrity quickly? Or is PWR Bet capable of building on its impressive first steps and become a genuine challenger to the giants of the industry? PWR Bet has a sleek and energetic tone to it in terms of design, with a black border across the top of the page and a metallic effect red and silver logo. Below that, there is a banner that brings together various characters from popular games available at the site, while also advertising the welcome bonus (at the time of writing). Black and red is the predominant colour scheme here, until you get to the main section of the homepage, where the background becomes white to avoid too much clashing with the design of the multiple thumbnails allowing quick access to games. The interesting part about these thumbnails is that they do not start with slots, as you’d expect, but with live dealer games. With technological advancement being as rapid as it has been in recent years, live dealer games are growing in popularity at a startling rate, and the fact that new sites are starting to prioritise these games even over slots is evidence of that fact. Every game category is represented on the homepage by a series of thumbnails, adding to the ease of navigation that is a theme across the whole site. As a new site, there would have been a time where PWR Bet was given some time to build up a solid collection of games, but players are spoilt these days, and that patience is a thing of the past. As a result, the fact that the only software developers providing the titles to this site at this point are EGT, Evolution, Microgaming, NetEnt, and Play'n GO is a bit of a problem. That is not to say that these developers are not of the highest quality, but without other big names like Playtech and Yggdrasil, and no up and coming names on the list at all, the selection of games available at PWR Bet pales in comparison to those available at many other online casinos. There is good variety in terms of game category, which is a good start, but if PWR Bet is to find success, and the speedy growth it claims, it’s going to need to add a fair few more names to the list.